A Fragile Trust and Patrolman P consider the parsing of stories -- what they can mean, who might be parsing, and what effects both teller and listener might have on them. "These were not normal lies. These were lies with details." "This is the place where truth is constantly tested, bended, concealed, and catalogued. What happened is not always what happened. It's what gets on the record that sticks and stands." He's describing the criminal courthouse in New York's Chinatown, and he's about to introduce the criminal case against one New York police officer, William Phillips, but New York magazine reporter Geoffrey Gray is talking too about the elusiveness of truth and trust, the ways that both are ever a matter of perception and desire. This elusiveness -- and what it means for journalism in particular -- is at the center of two documentaries at DOC NYC 2013, Patrolman P and A Fragile Trust: Plagiarism, Power, and Jayson Blair at the New York Times. The first, directed by Ido Mizrahy, is structured by Gray's efforts to understand "what happened" when two people were murdered on Christmas Eve in 1968, and Samantha Grant's film looks at Blair and the New York Times' mutual "meltdowns" a decade ago, when Blair was discovered to have plagiarized or fabricated at least 36 articles published in the paper. Each film considers a particular context -- the NYPD during the hyper-corruption of the 1960s and 1970s, the Times during its already-too-late pivot to digital formats -- but both also pose broader questions, concerning the irresolvable relations between truth and lies, community and identity. Blair's story begins with these relations, at last in his recounting. Built on interviews with Blair and his colleagues as well as passages from his much-malign memoir (which he reads in voiceover, accompanying shots of New York Streets or subways, or sometimes sketchy animations of his drug use or flawed decision-making), A Fragile Trust sets up something like an investigation, motivated in part by Blair's own question, "Why?" It's the question that drives journalism, he suggests, and at least one reason he entered into the profession; for another, he says, "There were moments when I felt that I didn't fit in, but I would always find someplace where I did fit in: journalism just became one of those places." During his interviews, Blair appears in close-ups; he's also rendered in a series of photos, as a child (the only black face or one of the only black faces in what he describes generally as a "middle class" environment), as a journalism student, as a member of the Times' aggressively diversified internship program, his expressions vague: whatever they may have seemed then, now these photos, ranging from grainy to smudgy, appear a series of puzzles, receding from definition even as you look at them. Indeed, trying to suss out Blair becomes a kind of project for interview subjects here, as they ponder motives or causes, wonder who might be responsible or who knew what when. "My only impression was he was a little immature and a little star-struck that he was interning at the New York Times," says Macarena Hernandez, a member of that same group in 1998, and then the reporter whose copied work flagged Blair's deceptions in 2003. When Blair plagiarized her San Antonio Express-News story on Specialist Edward Anguiano, at the time missing in Iraq, the Times was alerted, as was Howard Kurtz, who made the story public while looking into Blair's past possible mistakes or infractions (that Kurtz's own reputation as a reporter has undergone its own shift speaks again to the tenuous nature of truth and trust). As Grant poses questions from off-screen, her subjects -- Blair included -- offer answers that sometimes contradict one another: Seth Mnookin, for instance, is quick to call out Blair's suggestion that his mental illness went unnoticed in his workplace: "That's a silly suggestion on his part, that somehow it is employers' responsibility to know what was going on with him, when in fact he was doing his utmost to deceive them every step of the way." When Grant re-raises the question of race in relation to the case, Times correspondent Lena Williams sees the connections immediately, comparing the Blair story to that of Stephen Glass: no one suggested Glass's plagiarism was a function of his whiteness, she notes, but, "The black person cannot be involved in anything without it being about race." But Times Deputy Managing Editor William Schmidt demurs, observing, "Something broke down, not because Jayson was black. Something broke down because the system didn't work." He seems unable to imagine that race is part of that system -- even when, perhaps especially when, players might be white. A Fragile Trust grants multiple players chances to reflect on that system, as well as their parts in it, including the two editors who lost their jobs as a result of the case, Howell Raines and Gerry Boyd. But none of them comes up with an explanation that might "stick". Rather, each has his or her own understanding, some more compelling than others, but n none conclusive. But even if the "why" for Blair remains unknown, which is not to say unknowable, Hernandez makes an observation that resonates, articulating his betrayal as one of daunting dimensions, because, she says, journalists live and work by trust: "People give it to you so freely," she says, regarding those who tell reporters their stories. But as you watch these professionals speak, men and women who make stories out of trust, you also realize that skepticism is part of that process too, theirs and yours. The story of Bill Phillips lays out the process in another way. As much as Gray comes into it thinking that he wants to believe his subject, he comes away with less certainty, less trust. The Phillips case was infamous at the time: after being caught on film taking bribes, this high-living cop found himself conscripted into the service of the Knapp Commission, investigating corruption in the NYPD (the film references Frank Serpico with an image montage, reminding you of the sensational excesses of the department and the sometimes earnest, sometimes equally excessive efforts to contain them). As Phillips testifies in archival footage, he looks every bit the deceitful type his detractors claim, slick and arrogant. The man Gray meets with now is, by contrast, an elderly man (in his 70s), working in prison on his and other inmates' appeals, diligent, focused, bright. The interviews with Phillips set up a problem that is similar to that in A Fragile Trust, in that Gray and other subjects (and you and the film) must contend with a self-professed and charismatic liar. 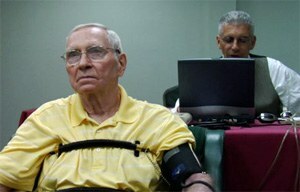 Patrolman P suggests that a lie detector test might resolve questions, even as it also delivers Gray into an increasingly tenuous position: "The closer we got to he polygraph, the more I felt stuck in the middle," he says, "We were all looking to the polygraph as a way to figure out what really happened." 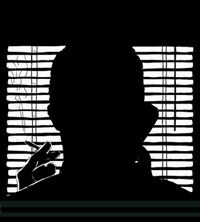 If the film goes through the many reasons that Phillips might have been framed for the murders of a pimp and prostitute in 1968, it also offers the possibility that he was capable of such an act, and certainly that he was and is capable of not telling the truth. While Gray concedes that Phillips had by now, after decades in prison, "gotten used to not being believed, it's about trust, not facts." Like A Fragile Trust, Patrolman P considers such parsing of stories -- what they can mean, who might be parsing, and what effects both teller and listener might have on them. And like Grant's, Mizrahy's film comes to no clear conclusion. It's not that facts can constitute a truth, as these are always beheld by someone. It's that truth itself is a fiction. And journalists, so famously devoted to the pursuit of truth, negotiate this fiction every day. 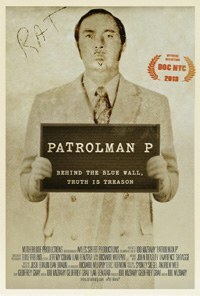 Patrolman P Trailer from Ido Mizrahy on Vimeo.